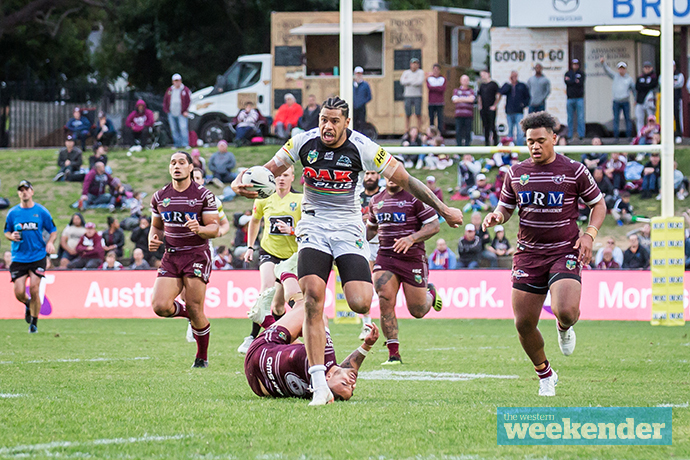 Penrith face one of the NRL’s toughest tasks this Friday to finish the regular season and while it’s a brilliant test of strength ahead of the Finals, there’s legitimate fear this could be a massacre at AAMI Park. The Panthers are stumbling towards September, losing their last two matches and struggling to match the intensity of their opponents at the pointy end of the season. Melbourne meanwhile are looking to confirm the Minor Premiership on Friday night, and will farewell Billy Slater in what will be his last regular season home game at AAMI Park. It is a formidable mountain Penrith must climb. This match has been made even tougher with the loss of one of the game’s best defensive centres, Dean Whare, to a broken arm. It makes that right hand side vulnerable to Melbourne’s superior attack. But Penrith have been boosted by the return of James Maloney, who should add some structure to Penrith’s attack. On paper, Penrith should be a good chance in this game but as we’ve seen too many times this season, it’s just not translating to strong showings on the field. The side is ill-disciplined, lacking cohesion and takes too long to click into gear. The Warriors proved last week you can lock Penrith out of a game in the first 15 to 20 minutes and Melbourne is certainly capable of doing just that, perhaps even quicker. The Panthers have conceded the second most penalties in the competition this year, and have the second highest missed tackle rate. It shows a complete disrespect for the game, their opponents and most importantly themselves. It is also reflective of a side playing without confidence and a clear direction. Melbourne aren’t necessarily playing their best football despite sitting on top of the ladder and in fact don’t really top any of the key statistics heading into the final round. But as always, their game management is superb and it’s what won them last week’s scrappy match against the Titans on the Gold Coast. There’s no doubt the Storm will make errors in this game (in fact, they’ve made more handling errors this year than any other side in the competition) but it’s all about Penrith capitalising on those mistakes and the side has shown nothing in recent weeks to prove that they will. But if they are a chance of toppling the competition front-runners, they must complete their sets strongly, kick well and show a legitimate intent from the moment the game kicks off. If you beat Melbourne in Melbourne, you complete at over 85 per cent and you frustrate them out of the game. Penrith has it in them, but for most of the season it has remained bottled up. I do believe Maloney’s return will make this more of a contest than it originally seemed to be, but you just get the feeling Penrith is waiting for the Finals. I said last week I had almost reached the point of frustration when it came to the Panthers, but gave them the benefit of the doubt against the Warriors. There’s no benefit of the doubt this week. I’ll still be flying the Panthers flag proudly and boy do I hope they cause a monumental upset, but I just can’t see the Storm dropping this. Penrith and Melbourne play at AAMI Park on Friday, August 31 at 8pm.